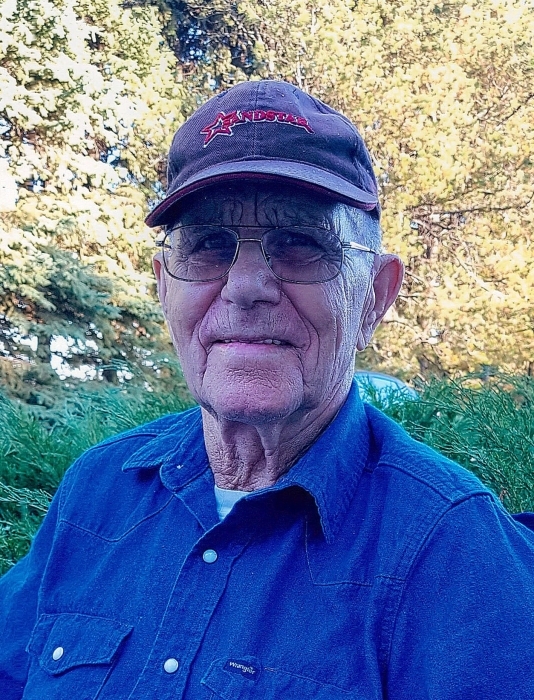 On October 23, 2018 Murry Worling Webster passed away at the Northcott Care Centre in Ponoka at the age of 82 years. Murry will be lovingly remembered by his daughter Gail Webster (Barry Lemley) of Innisfail; son Doug Webster (Ann Garnett) of Spruce Grove; grandchildren Mark (Jersy), Ryan (Stephanie), Jessica (Mike), and Michael; great-grandchildren Kayla, Emma, Mason, Hunter, Leighton, and Riley; sisters Phyllis Shewchuk (Ronnie) and Irene McClaflin; brother Melvin Webster (Alice); as well as many nieces, nephews, relatives and friends. Murry was predeceased by his wife Alvena “Beanie” on July 29, 2013. A Celebration of Murry’s Life will be held on Monday, October 29, 2018 at 11:00 a.m. at the Ponoka Funeral Home with the Interment Service following later that day at the Bradshaw Cemetery south of Rimbey. Memorial donations are gratefully accepted to the Canadian Cystic Fibrosis Foundation (Edmonton & Northern Alberta Chapter).